Evidence Compliance with the Health and Social Care Act (2008) Regulation 12 using Medical Audits’ National Cleaning Standards compliant, hospital cleanliness Audit tool. National Cleaning Standards compliant, hospital cleanliness Audit tool. 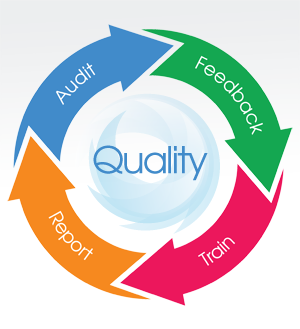 Medical Audits cleaning audit tool has been developed to ensure you can evidence your compliance with regulation 12 of the Health and Social Care Act (2008) by meeting the standards as laid out in the revised healthcare cleaning Manual (2009) and the PAS 5748 standards. In the UK, the Association of Healthcare Cleaning Professionals (AHCP) have ownership of the revised healthcare cleaning manual since it was passed over to them in 2012. 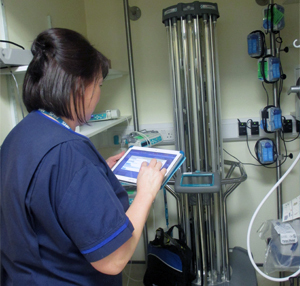 More and more hospitals in Ireland and the UK (NHS, HSE and Private) are moving to Medical Audits for Hospital Cleaning audit software and monitoring cleaning standards. Users have complete control over room configuration and elements with ability to change these in real time. In Ireland, the National Hospitals office produced a national cleaning manual in 2008 and this remains the National standard along with the Health Information and Quality Authority (HIQA) Infection Prevention and Control Standards (2010). “Audit Scotland - A clean bill of health”, published in 2000 set the basis for cleaning, auditing and monitoring standards of hospital hygiene in NHS Scotland. The National cleaning standards for wales were published in 2003 and were followed in 2008 by the Welsh assembly national all wales monitoring tool. Medical Audits provide a cleaning audit and a range of complimentary audits to help you evidence compliance with all these standards, guidelines and regulations. “Organizations need to demonstrate a robust audit process for identifying whether performance levels are being achieved as this is an essential part of providing assurance of the cleanliness of a hospital”.